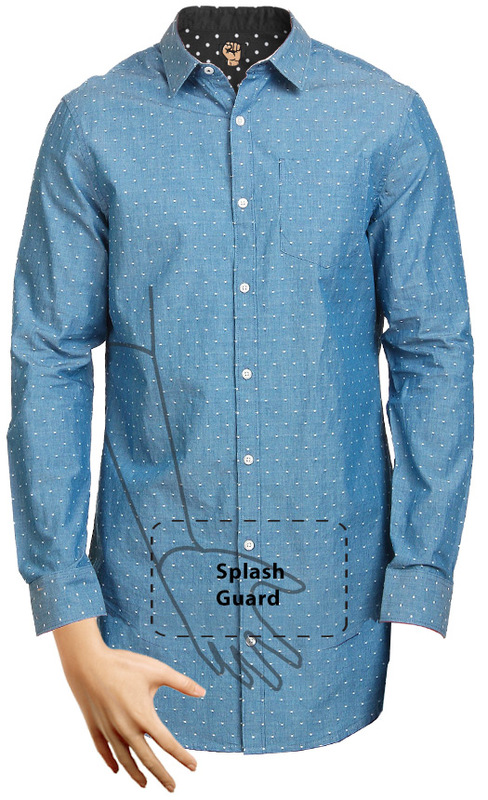 With our patent-pending product, you are now finally able to enjoy the Jerkshirt® any where you please without the fear of getting caught by your co-workers or close friends. The JerkShirt® magically covers the most important part of your body while enjoying what you do without having to hide in shame. Just put it on and get to work! With our splash guard there is no mess or worry to clean up. Works like any other shirt, when you are done, simply put it in the washer and continue to use it again and again! We love feedback, don't hesitate to give yours. Want to be on our list for 2016? Tell us you want a Jerkshirt today!